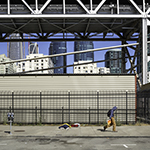 Pier 24 Photography offers various ways of learning about and experiencing the works on view in our exhibitions, both in person and online. The supporting content included here is intended to provide our visitors and extended community with an opportunity to learn more about the artists on view and ideas and themes through artist videos, lectures, and suggested publications for additional reading and looking. Please note: All copyrights belong to their respective owners. Images and text owned by other copyright holders are used here under the guidelines of the Fair Use provisions of United States Copyright Law. The text, images, and videos used here are for educational use only. "On the Streets of Harlem, a Sense of ‘Erase and Replace’"
Maurice Berger discusses Bey's series Harlem USA and Harlem Redeux. 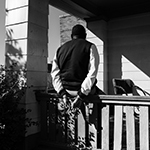 "In “Harlem Redux” Photographer Dawoud Bey Captures the Creeping Horror of Gentrification"
"Everlasting Harlem: A Conversation with Dawoud Bey"
Tempestt Hazel interviews Bey about his work, life, and the nature of gentrification. 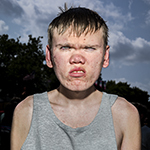 Video and article: "Powerful images you can't ignore and won't forget by Bruce Gilden"
Bruce Gilden discusses his early works, as well as his forthcoming series, FACE. Video: "Bruce Gilden at Work"
Lecture and interview commissioned by Multistory, featuring Bruce Gilden. 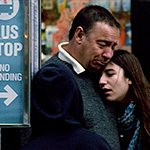 "In my own words: Jim Goldberg, photo storyteller"
Jim Goldberg discusses the use of text in his work, and his hometown, New Haven, Connecticut. Owen Campbell discusses Grannan's The Ninety Nine and The Nine in the context of Dorothea Lange. 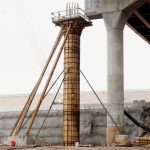 "Portraits of adversity in California’s Central Valley"
"An-My Lê at Marian Goodman"
Press release from Marian Goodman Gallery Paris outlines An-My Lê’s The Silent General(2017), Viêt Nam (1994 – 98), Small Wars (1999 – 2002), and 29 Palms (2003 – 04). Audio: "Vietnamese American Photographer An-My Lê Selected for Whitney Biennial"
Elizabeth Blair interviews An-My Lê on the occasion of Lê’s participation in the 2017 Whitney Biennial. In this opening lecture, photographer Richard Misrach provides an overview about the artistic process of the exhibition, Border Cantos, and the collaboration with artist Guillermo Galindo. "Richard Misrach and Guillermo Galindo Mourn the Fate of Immigrants"
John Yau reviews the exhibition Richard Misrach & Guillermo Galindo: Border Cantos 2017 at Pace Gallery. "Along the U.S.-Mexico Border, an Unlikely Music is Born"
Gabe Meline interviews Guillermo Galindo for KQED about his collaboration with Richard Misrach on the Border Cantos project. 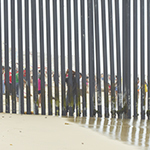 "This is what happens to what is left behind at the US–Mexico border"
Article about Richard Misrach & Guillermo Galindo: Border Cantos exhibition, including a link to a 4-minute video of Galindo playing one of his instruments, Efigie. "How James Nares Made an Amazing Work of Art by Slowing Down New York City"
"Street Views: a Conversation with James Nares and His Cinematic Ode to New York"
Video: "James Nares at TEDxMet"
"New York in Slow Motion"
A review of Nares' Street when it was on view at the Metropolitan Museum of Art. "Documenting the Anguish of War: An Interview with Photojournalist Paolo Pellegrin"
Paolo Pellegrin reflects on his decades-long career, and discusses his recent work, which was produced on assignment in Mosul. Paolo Pellegrin speaks about his images of the Iraqi refugee crisis, taken while on assignment for "Vanity Fair." "Turning the everyday into art"
Interview with Postaer on the occasion of his 2017 solo exhibition Motherland in Shanghai. 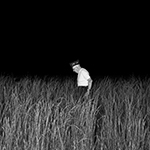 "Alessandra Sanguinetti photographed the town immortalized in cult book Wisconsin Death Trap"
Chris Jennings writes about Alessandra Sanguinetti’s images of Black River Falls, Wisconsin, and the enduring influence of Michael Lesy’s Wisconsin Death Trip (1973). 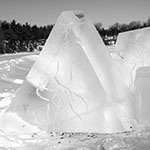 "Grays the Mountain Sends: In Conversation with Bryan Schutmaat"
Aaron Schuman interviews Schutmaat about his body of work Grays the Mountain Sends. "Grays the Mountain Sends: Poetic Views of the American West's Darker Side"
Charlotte Alter reviews Schutmaat's 2013 Aperture exhibition Grays the Mountain Sends. "Forget digital. Film is still king when photographing the American landscape.". 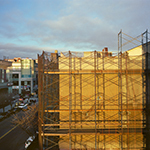 Schutmaat discusses his work and his process of working with large-format photography. "The Songs of Alec Soth"
An interview with Alec Soth on the inception of his body of work, Songbook (2015). 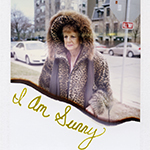 "Alec Soth’s Tragicomic American Songbook"
An interview with Alec Soth about Songbook (2015). "Ed and Deanna Templeton are the godparents of zine culture"
Interview with Deanna & Ed Templeton about photography, zines, and photobooks. "Is This Place Great or What"
Ulrich discusses the Copia project, including the series Dark Stores. 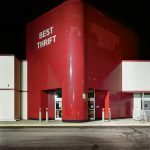 Review of Ulrich's 2013 exhibition Copia: Retail, Thrift, and Dark Stores, 2001–2011 at the North Carolina Museum of Art. 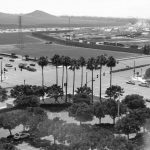 "Corine Vermeulen | Museum of Contemporary Photography"
The Museum of Contemporary Photography's introduction to Vermeulen's series Your Town Tomorrow. 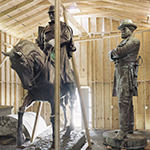 "Detroit Through the Lens of Corine Vermeulen"
Interview with Vermeulen on the occasion of her 2015 exhibition at the Detroit Institute of Arts. "Book Review: Candy/A Good and Spacious Land"
Blake Andrews reviews Jim Goldberg and Donovan Wylie’s photobook Candy/A Good and Spacious Land. 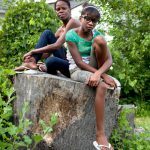 Video: "Imaging New Haven: CandyA Good and Spacious Land"
Jim Goldberg and Donovan Wylie discuss their joint photo project, Candy/A Good and Spacious Land, which was produced while in residence at the Yale Art Gallery in 2013.